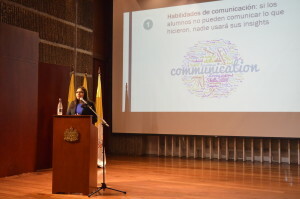 Last week, I had the opportunity to give a keynote at the opening of the Masters of Analytics (Maestria en Analitica) at the Universidad Javeriana in Bogota. 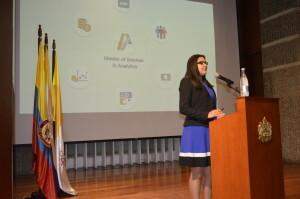 This is one of the first masters in Analytics in Latin America, and the Javeriana University is one of the most recognized universities in Latin America, so I was very excited to meet professors and students of this masters degree. The purpose of my talk was to provide an overview of the experiences and challenges we have had at the NCSU Analytics Masters degree. I talked about 5 main experiences that help us educate the future generation of data scientists, and 5 open questions that any masters degree in Analytics should be thinking about for the future. My slides can be found here. 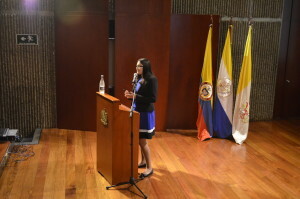 The Maestria en Analitica is an excellent opportunity for Latin American students who are thinking about studying this degree while working full time in Colombia. The initiative is being led by my former classmate, Jorge Alvarado, who is the director of the masters degree. 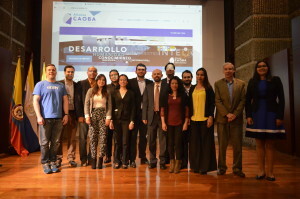 During this event, I learned that the Colombian government is founding data initiatives, and that the students of this masters are already working with very interesting data and tools. It was great to meet the professors and students of this masters degree! Here are some pictures of the event.